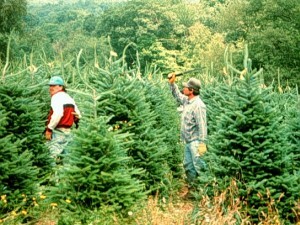 There are many dangers for those working on a Christmas tree farm. As stated on the OSHA homepage for agricultural operations, “Agriculture is one of the most hazardous industries in the nation. Farming is one of the few industries in which the families (who often share the work and live on the premises) are also at risk for fatal and nonfatal injuries.” These dangers are compounded when most farmworkers are Latino, and even Spanish may be their second language. Their understanding of English is often limited, making them an especially vulnerable work force. 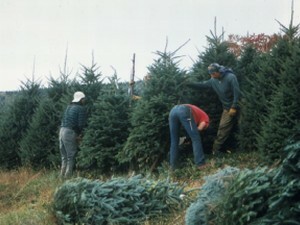 There are many laws enacted to govern the health and safety of farmworkers on Christmas tree farms and elsewhere. These are largely governed by OSHA (Agricultural Operations and EPA especially under the Worker Protection Standards (http://www.epa.gov/pesticides/health/worker.htm). There are several web sites to help North Carolina growers comply with laws governing worker safety and health. The NC Department of Labor has a list of suggested forms for complying with OSHA regulations at http://www.nclabor.com/osha/consult/sample_programs.htm. For compliance with EPA Worker Protection Standards, go to NC Department of Agriculture and Consumer Services WPS page at http://www.ncagr.gov/SPCAP/pesticides/wps.htm. Growers are responsible for training themselves and their workers on safe farming practices. But finding information relevant to the specialized production of Christmas trees isn’t easy. 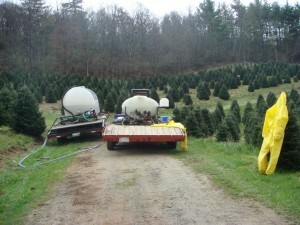 This web site is an attempt to pull together information on several aspects of Christmas tree production and harvesting to meet that need. Each section links to another page with pertinent reference information. When available, a Spanish translation is included. There are many dangers common to all farming operations. Information included in this section covers a wide-range of topics from managing stress, first aid, protecting yourself from UV radiation, eye and hearing injury, and the ergonomics of lifting and the stress of repetitive motion. Also included are dangers found in NC including poisonous snakes, plants, stinging insects and diseases from ticks. There is also a section on creating safe play areas on the farm. 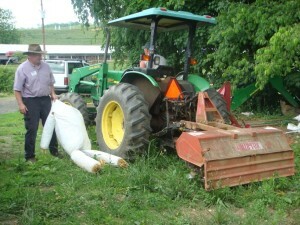 Operating tractors and other equipment can be dangerous, especially in the mountains of western North Carolina. Many growers use older tractors which do not have PTO shields and rollover safety features. Included is information on tractor and ATV safety as well as guarding against dangers from electricity. In this section are safety practices to use while shearing. But other dangers exist as well while shearing, including repetitive stress injuries, eye injuries, exposure to UV radiation, dehydration and heat stress, poison ivy, and stinging insects. For information on these, see general farm safety. This section contains information about complying with pesticide and worker protection laws. Included is information on pesticide licensing, health effects of pesticides, pesticide storage, understanding the label and sources of labels and MSDS sheets, complying with the Worker Protection Standard, PPE, laundering pesticide-contaminated clothing, heat stress, record keeping and calibration. Also included are environmental safety issues including how to protect surface and ground water, wildlife, and bees, as well as how to handle pesticide disposal and spills. Harvesting presents another set of dangers on a Christmas tree farm. Included is information on chainsaw and baler safety. Information on hearing protection is found in the general farm safety section. 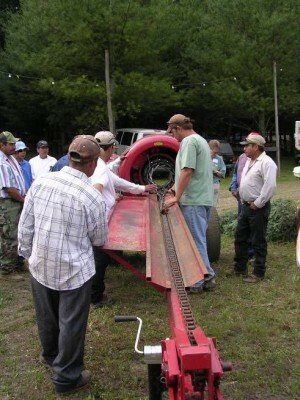 Since many farmworkers speak Spanish, the following websites are included as a resource. These sites provide many factsheets and videos on a wide range of topics in Spanish.